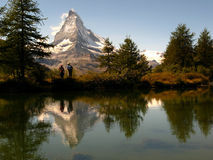 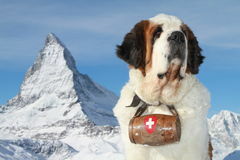 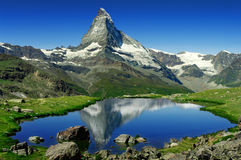 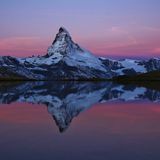 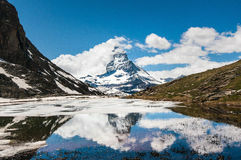 Matterhorn reflecting in Stellisee 04, Switzerland. 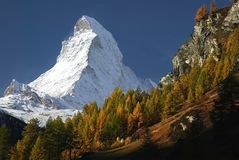 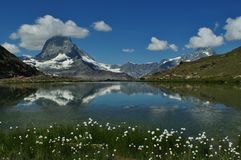 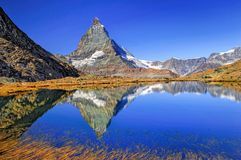 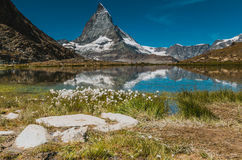 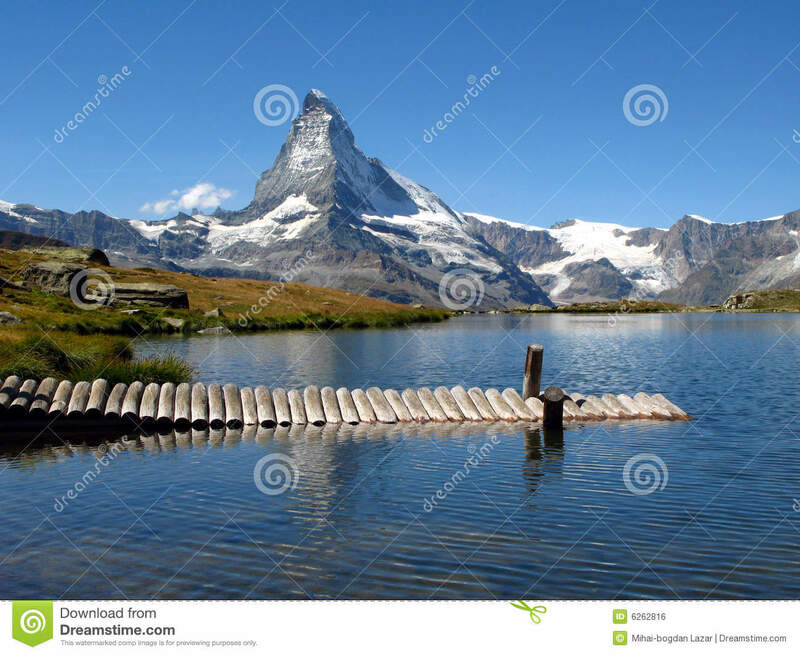 The most famous peak of the European Alps - Matterhorn (as the swiss call it) or Cervina (as the italians do) reflecting in the waters of the alpine lake Stellisee in a clear late summer morning above Zermatt, Switzerland. 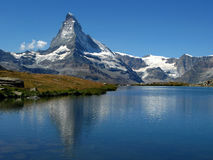 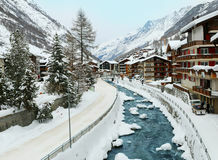 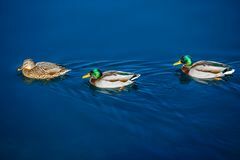 The Matterhorn Ducks in the water. 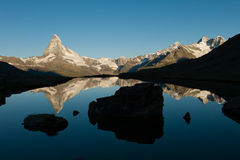 Matterhorn Flowers on the lake near Matterhorn The Matterhorn Matterhorn Matterhorn Reflection In Stellisee At Sunrise Matterhorn reflecting in Grindjisee - one of the lakes on the 5 Matterhorn reflecting in Lake Stelli, Zermatt.